by Rev. 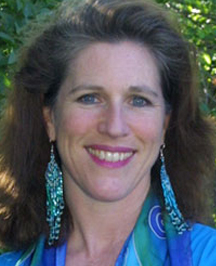 Megan Wagner, Ph.D. The Tree of Life is a universal symbol found in many spiritual and mythological traditions around the world. In various cultures it is known as the Cosmic Tree, the World Tree and the Holy Tree. The Tree of Life symbolizes many things, including wisdom, protection, strength, bounty, beauty, and redemption. This wise and holy Tree is like the Creator as it sustains creation with its abundant fruit, protection and generativity. The Tree is also like human beings, as we develop roots, strengthen our trunk and branch out to a wider vision of life as we grow. Trees provide many analogies to human development. They are amazing microcosms of exchange and flow of water, nutrients and gases. With sustenance from the earth, cooling water, refreshing air and the light of the sun, they grow in stature and strength and eventually blossom into full flower and fruit. They are earth-bound and yet reach up toward the heavens, trying to touch back to the source. Their three main systems of roots, trunk and branches parallel human development of body, psyche and spirit. The following are some examples of how the Great Tree is understood around the world. These examples demonstrate why so many cultures use the Tree of Life to describe the Divine and our journey back to the Divine. Kabbalah – In Kabbalah, the Jewish mystical tradition underlying Judaism and Christianity, two different Tree of Life symbols are used: one is upside-down and the other right-side-up. The original Tree of Life emanates out of the divine world of unity and is depicted as upside-down, with its roots flowing from the divine place of unity and infinite light. The trunk and branches reach down towards us, penetrating the worlds of spirit, psyche, and physical existence. This is said to be the Tree of Emanation, which flows downward from the source. The other Tree of Life symbol flows upward, back towards the source, with roots in the ground and branches growing up to the sky. This is the Tree that the initiate climbs to return to the source and is the Tree of evolution or initiation. It is the initiate’s responsibility to evolve and awaken, climbing the Tree and penetrating the worlds of psyche, spirit and divine unity, reconnecting with the divine source. 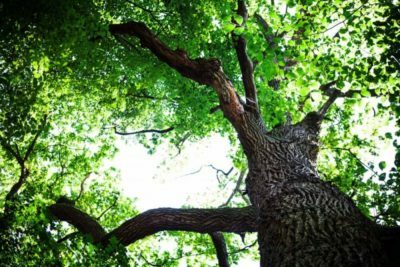 Depth Psychology – From a depth psychology perspective, the tree is seen as a powerful symbol of growth, as the tree is the only living thing that continues to grow throughout its lifetime. The tree is also a symbol for the true self and serves as a positive, healthy model for the unfolding development of both psyche and spirit. As we grow and develop, a larger and more mature personality emerges and begins to flower and fruit, providing its gifts and bounties to the wider world. Christianity – In Christian art, Jesus is often depicted as standing in the branches of the Tree of Life, presented as the living fruit of the Tree. In this capacity he is the bridge between the Divine and humanity and between heaven and earth. He is a vision of enlightened humanity and our potential to bloom and bring forth abundant fruit. The image of Christ on the cross is another depiction of the World Savior on the Tree of Life, redeeming humanity through his death and subsequent rebirth. Buddhism – It was beneath the great Bodhi tree, the great Tree of Enlightenment, that Buddha was said to redeem the whole universe under its protective branches. Under this World Tree, the Buddha transformed all negative temptations and energies and achieved perfect enlightenment. In this story, as in the Christ story, we have the archetypal World Savior and the World Tree themes together. Nordic – In Nordic mythology, Odin is the god who rules all magic and guards the great well of wisdom and knowledge at the root of the World Tree Yggdrasill, whose strength supports the entire universe. Here, under the branches of Yggdrasill, Odin becomes an initiate magician and discovers a Shamanic vocation, obtaining inner sight and healing capacities. Shamanic – In many Shamanic cosmologies, the Cosmic Tree is said to connect the Underworld, Middle world and Above world. During initiation, the Shaman learns to travel comfortably in all three realms. In some traditions the Underworld contains power animals and helper guides for healing. The Above world consists of ancestors, spirit guides and spirits of plants and diseases to whom the Shaman can speak and engage their help in healing others. During initiation, Shamans are often instructed to make and climb a ladder to symbolize their ability to access the three zones of the Cosmic Tree. Minoan – From the ancient Minoan culture of Crete, the Tree of Life is connected to the Mysteries of the Labyrinth. The Tree of Life is said to occupy the very center of the labyrinth. The goal of initiation is to claim your own self by winding into the center of the labyrinth, climb the Tree of Life and connect with your own divinity as well as the divine source. My own definition interfaith is informed by my practice of Kabbalah, which has helped me to see that at the highest level of reality, All is One. Most theologians and mystics would agree that the universal principles at the heart of each tradition are basically the same and reflect slight variations on the themes of divine origins, human dilemmas and paths of development to realize our true identity and divinity. From here, the country, the land and people who dress these great spiritual truths in the local color and spice arising from their culture and social conditions, further diversifies each spiritual tradition. This allows for a huge array of spiritual practices and spiritual expressions that hope to include every taste and sensibility. The particular lineage of Kabbalah that I embrace and teach springs from the dynamic interfaith community of a medieval Spain. During this time, communities of Christians, Jews and Muslims lived side-by-side for generations, sharing insights and new developments in theology, philosophy, medicine, science and mysticism. The Christian mystics, Kabbalists and Sufis engaged in frequent contact and enjoyed the cross fertilizing of ideas which helped to keep each of their own traditions alive and fruitful. This kind of religious, racial and educational tolerance was progressive and necessary for the survival of western culture. I believe we are now in a time when a broader, world-based, interfaith awareness and exchange is once again crucial for our survival. My husband, Jim Larkin, and I run an organization called Tree of Life Teachings International, to promote psycho-spiritual healing and reconciliation with self, others and the Divine. Although the Tree of Life path is Jewish and Western in origin, it is a universal path of healing that can be utilized by any seeker from any tradition. We use a variety of methods to promote healing, including guided meditation, prayer, prayer postures, psycho-spiritual exercises, drumming, chanting, storytelling, ritual and group discussion. Many people can immediately relate to the Tree and the roots, trunk, branches model of human development. They understand the universal truth of setting down healthy roots, relating properly to body, earth, instincts and family inheritance. They understand the need to strengthen their trunk, increase their sense of personal power, and speak their truth. And they understand the need to branch out to Spirit, gaining wisdom from a higher and wider perspective of life. Most people also feel that some part of their Tree needs tending, nurturing or healing. The interfaith perspective appreciates and delights in the richness, the color, the diversity, the music, the art, the poetry, the worship and creativity with which human beings open to and experience the Divine. My vision for the future is to expand this work of healing by creating larger group rituals of reconciliation where people from various faith traditions can come to heal old wounds, build new bridges, appreciate spiritual diversity, and explore our unity through our connection to Source.